Password Protected LCD digital HD voice recorder from Speak-IT Premier with built-in loudspeaker. 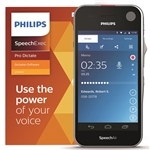 The New Philips PSP1100 offers recording on the go with Wi-Fi and three professional microphones... 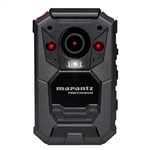 The Marantz PMD-901V is the new high definition personal audio and video recorder, to capture the sights, sounds and locations.